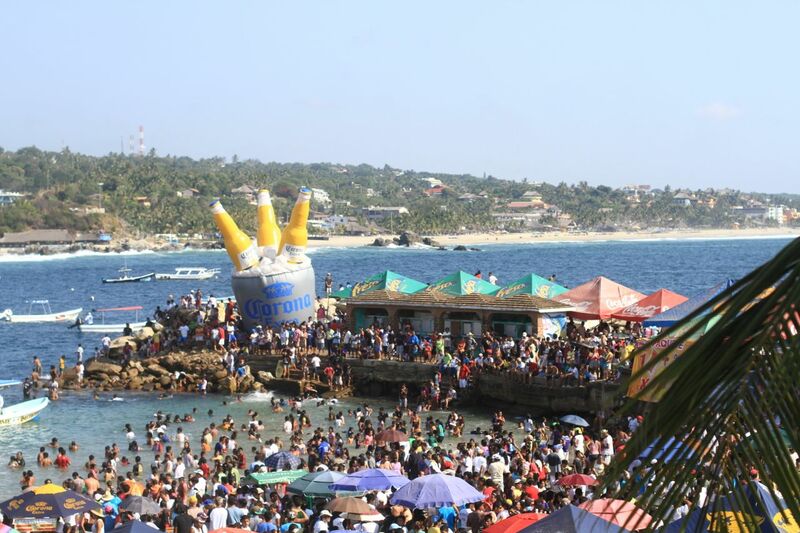 Puerto Escondido is celebrating its 27th International Sailfish Tournament with humongous prizes for the biggest sailfish and three days of partying on the beach at Playa Principal next to the pier. On November 20, 21, and 22, the boats will leave at 7 a.m. - each with four contestants plus a captain. Last year there were 156 vessels. The fishermen have until 3 pm to return with a sailfish or marlin. The record was set in 2007 with a sailfish weighing in at 67 kilos. Last year’s winner was around 40 kilos. There will be a special prize of $25,000 pesos plus free entry to next year’s completion to whoever catches and releases the most sailfish weighing under 25 kilos. Sports fishermen from as far away as Chile and Italy as well as Canada and the U.S. compete in the tournament, which is one of Mexico’s biggest. First prize is a Silverado 4x4 pickup truck, with other Chevys going to the 2nd, 3rd and 4th place winners. 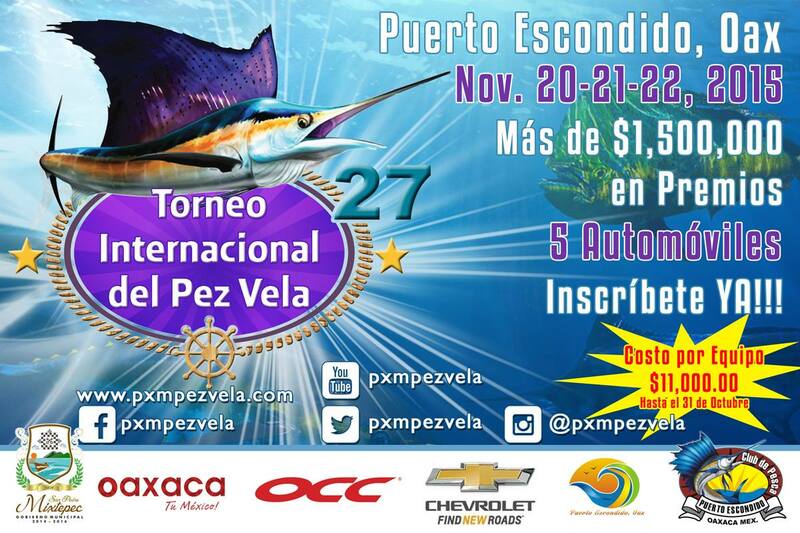 The entry fee for each boat is $12,000 pesos in November and $11,000 in October. Sign-up ends November 19th. The three days of partying feature the bands Sierra Verde, Tronador, and Las Siluetas.